Soft and adjustable nose piece is ventilated. 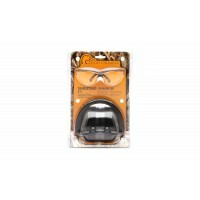 Ventilated nose piece is soft and adjustable. 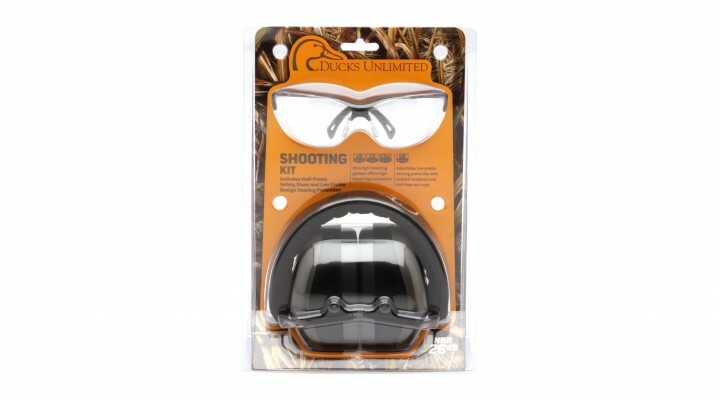 Packaged in a Ducks Unlimited branded freestanding clamshell for counter top or pegboard display includes clear lens shooting glass with gray ear muff.